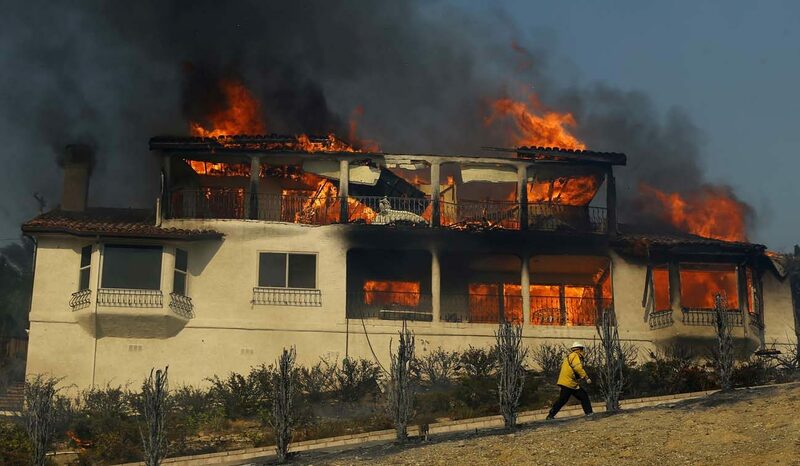 LOS ANGELES (CNS) — Los Angeles Archbishop Jose H. Gomez on Dec. 5 called for prayers for the well-being of families, firefighters and rescue workers “facing devastating fires and high winds” in Ventura and Los Angeles counties in Southern California. On Twitter, Los Angeles Auxiliary Bishop Robert E. Barron said the fires in Ventura County, which is in his pastoral region, had alone forced 30,000 people to evacuate. Known as the Thomas Fire, it erupted northwest of downtown Los Angeles.